A new independent prize at the Cannes Film Festival will focus on gay-themed films screened at the world's most prestigious film festival. The prize's inaugural jury includes transgender activist-actress Pascale Ourbih. The Queer Palm will recognize one film for its contribution to lesbian, gay, bisexual or transgender issues. Cannes, whose 63rd edition runs for 10 days in a town along the French Riviera starting May 12, was the largest European film festival to lack a gay prize. The Berlin Film Festival's annual Teddy Award first debuted in 1987, while the Queer Lion has been recognizing gay-themed films screened at the Venice Film Festival since 2007. The first Queer Palm will be presented on May 22. The French directing team of Olivier Ducastel and Jacques Martineau is sponsoring the award. The men took home the 2000 Teddy Award for their film The Adventures of Felix (Drole de Felix). The 2010 jury includes transgender activist-actress Pascale Ourbih. 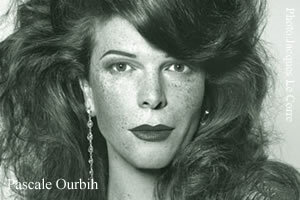 Ourbih is the subject of Italian Director Alessandro Avellis' 2008 documentary Transseizieme. She currently heads Cheries Darling, an LGBT film festival in Paris. Other jurors include: Benedict Arnulf, artistic director of Nice's LGBT film festival, Meetings In & Out Film Festival Gay and Lesbian, Florence Ben Sadoun, managing editor of First, journalist Roman Charcoal, Mike Goodridge, publishing director of Screen International, journalist Xavier Leherpeur, Ivan Mitifiot, coordinator of Mixed Screens, an independent film festival in Lyon, and Brian Robinson, senior programmer of the British Film Institute's annual gay and lesbian film festival in London (BFI London Lesbian & Gay Film Festival).